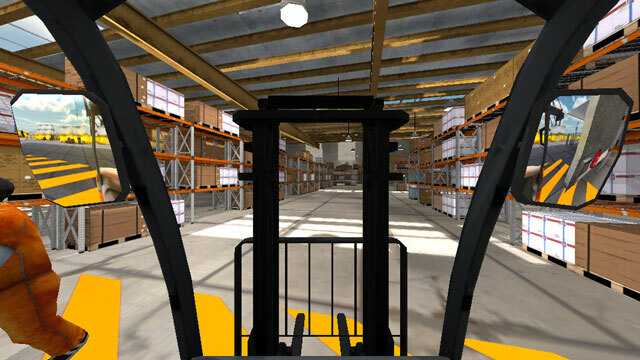 GrinN blog reports that UCAN & GriN partnered up to build an installation that connects controls of a real forklift surrounded by 4 screens to a virtual environment – a Serious Game where users can learn how to operate the forklift and take special notice to safety regulations (please find also The Case For Serious Games In Heavy Industries). Toyota will use this simulator for training forklift drivers. Multi-screen setups have several challenges. First one being that Unity3D will only allow one screen to play the application fullscreen. Typical dual monitor setup will not work full screen on both monitors. The most common solution that is used in professional multi-screen 3D simulators is to have multiple computers render different views. These computers are connected to each other via Local Area Network where one computer does all the physics and processing and the other computers act as mere render windows. 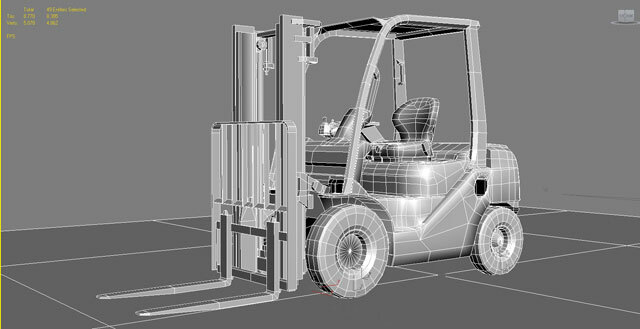 Crucial to the success of this project is that it must be able to connect the forklift controllers to the simulator software. GriN came up with the DIY joystick controller board with 8 analog inputs. GriN received a 3D model of the forklift they will be using in this simulation. But… the model has over 2 million triangles. Naturally this is totally unusable for realtime rendering. In fact they were having trouble just opening the model in their 3D software. After 5 days modeling and 3 days normal mapping and texturing, they believe to have a great basis to work with. The resulting model has about 8.000 triangles﻿. GriN was founded in 2002 as a research and development agency for online and browser-based Serious Games and applications. GriN creations are used for installations, events, promotions, campaigns and educational purposes… to name but a few. Apart from working for clients, GriN also develops self-managed online games and a 3D location mapping system with touchscreen kiosks.